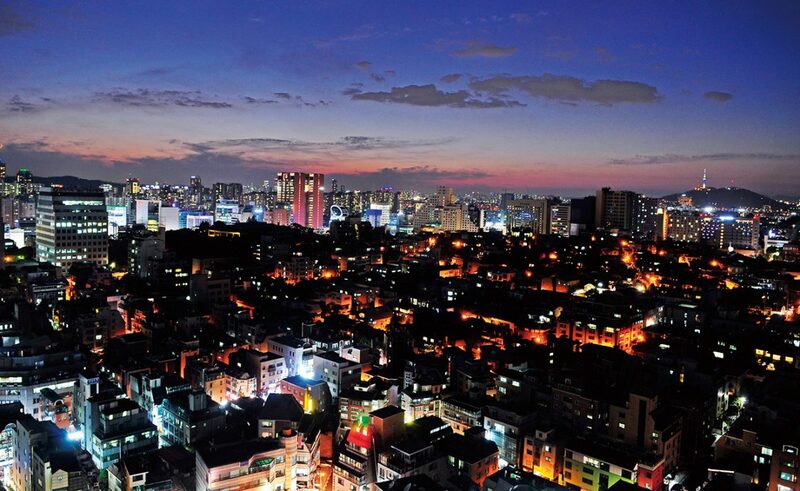 Until some years ago, terraces in Seoul were simply not a “thing” outside of the former foreign enclave of Itaewon. To the general public, daring to sit outside was something that would get you bit by mosquitoes, or even worse, struck with a dreaded tan. 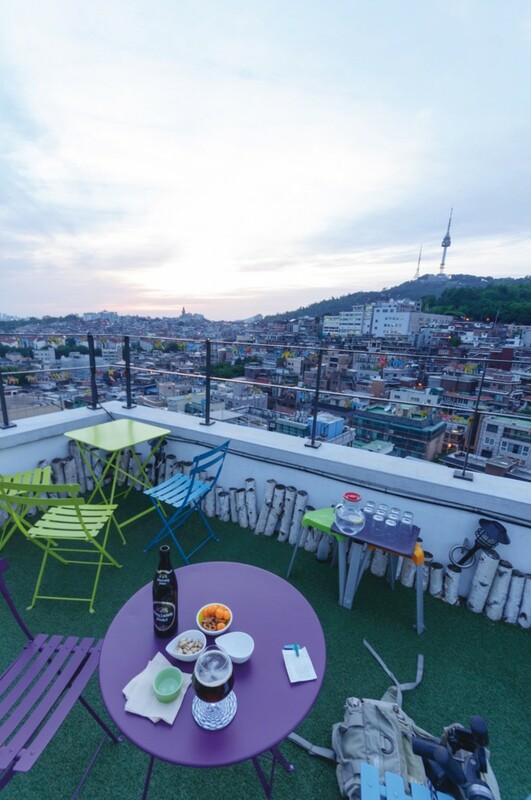 And rooftop dining? 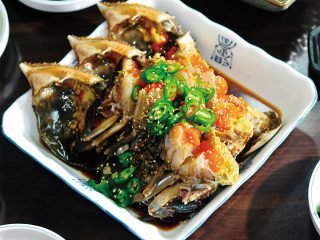 That was an exoticism only found in visits to Bangkok. More recently, however, this once-conservative city has opened itself up to the joys of al fresco days and evening, and in October, the peninsula’s most mild-weather month, the skies you’ll sit under are clearer and more colorful than any other time of year. For this reason, we recommend you enjoy this month from somewhere outdoors, and with a nice view. 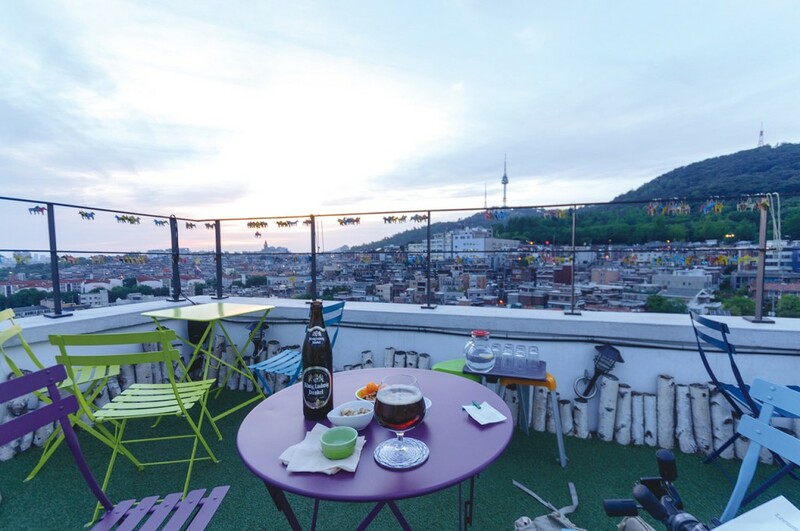 Rooftop dining is most often found in the Itaewon-Hannam-Noksapyeong triangle, with more venues popping up every day that take advantage of the city-center location and hilly terrain. 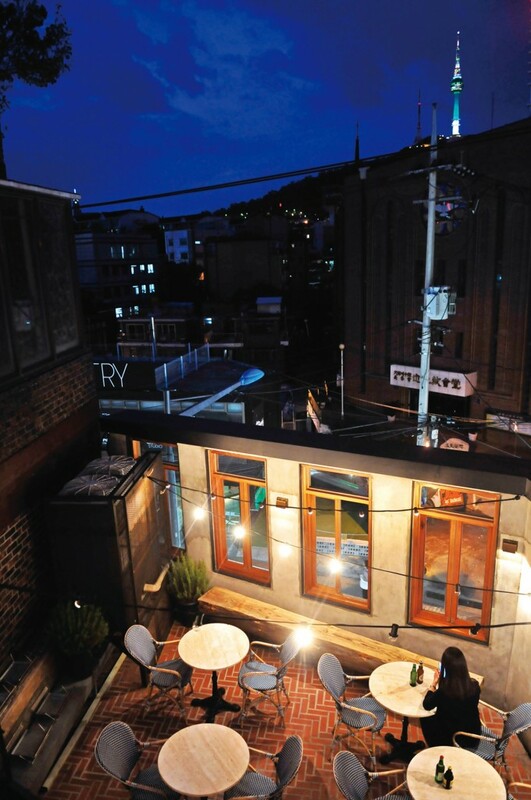 At quickly gentrifying Gyeongnidan, the four-story hodgepodge venue Our Commune offers, by a miracle of architecture, somewhere between two and three different rooftops on which one can enjoy the night (and also food and drinks). 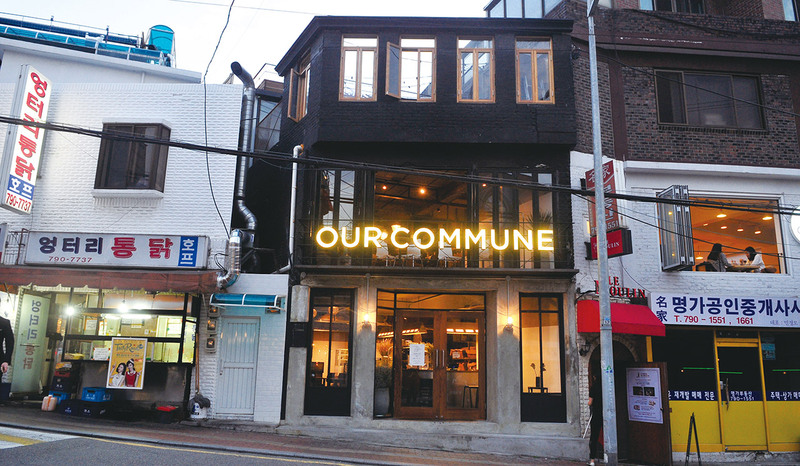 The “commune” refers to the three different indie brands that sell their wares there. 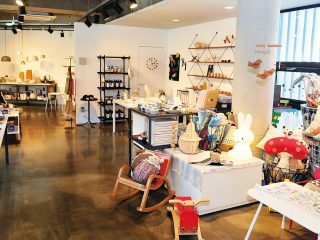 Weekender Coffee and Simple Things run the Greek-yogurt-and-art café on the first floor and basement, while Lalala Kitchen, with its Instagram-worthy dishes and Kinfolk-like wooden dining tables, occupies the second and third. 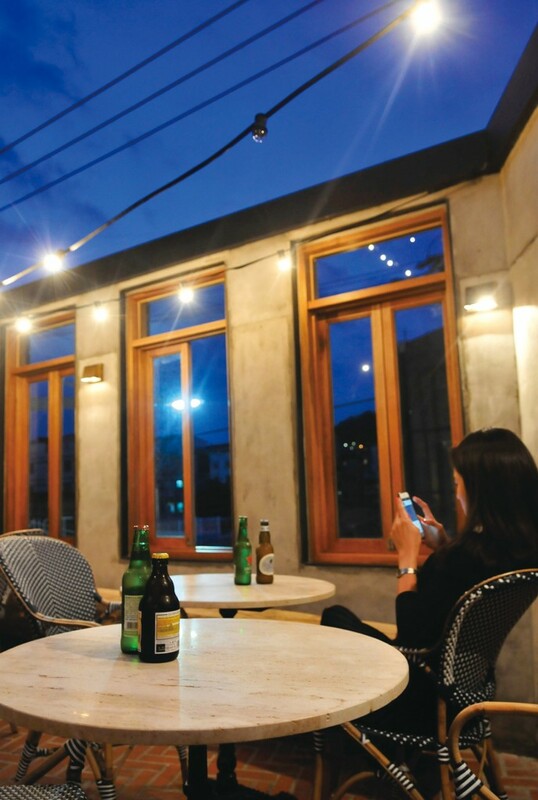 The fourth floor is an open rooftop furnished with benches, wood stumps, twinkly lights and not much else. Here, patrons gather sam-sam-oh-oh (“in small groups”) with a vibe so chill their shoes come off when it’s warm enough. On top of all these details, the up-close view of Namsan Tower is a welcome bonus. Just down the street, a slightly simpler concept yields an even more gorgeous perspective. The café furniture store Gräddhyllan is already a favorite among Seoul photographers for its sweeping view of Itaewon’s low-slung rooftops. Inside, the furnishings are impeccably tasteful, as the café is owned by a Swedish furniture seller. Outside, the view is so good that seating often requires a wait. Party animals should note that Gräddhyllan is primarily a café, so the menu of drinks doesn’t extend far beyond coffee (though they do have the occasional beer). 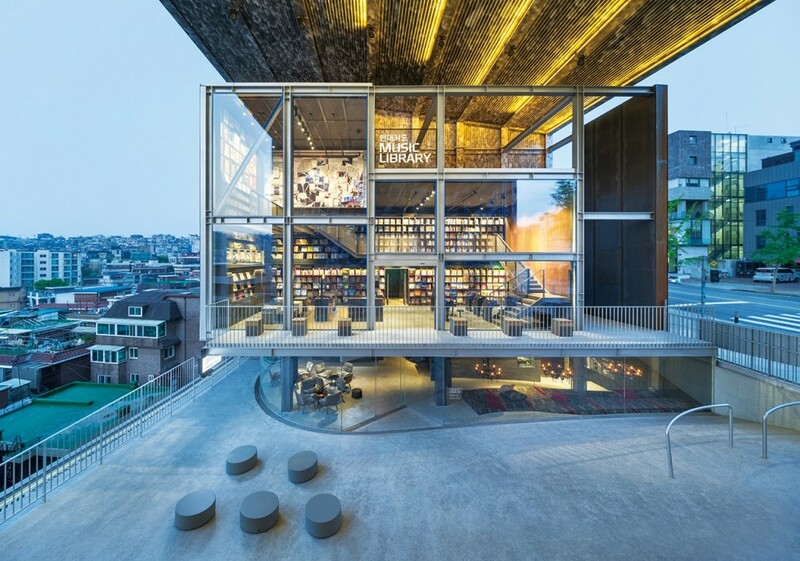 Meanwhile, in Itaewon proper, the recent May opening of the Hyundai Card Music Library has garnered attention for its indulgent “empty square” design and provocative mural by French street artist JR. 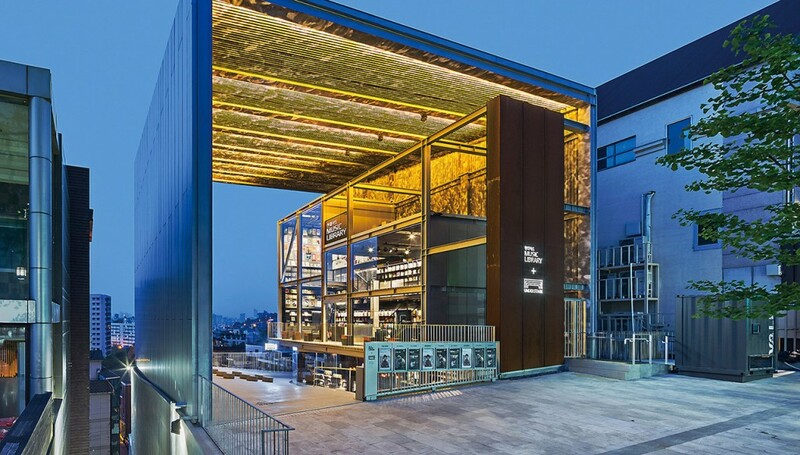 Though you’ll need either a Hyundai Card or a concert ticket to access the building’s rare vinyl collection, recording studio or intimate underground performance hall, the first-floor bar/café and sloping outdoor seating are open to everyone. That big open square also offers a view of Bogwang-dong that owners of many of the neighboring buildings have passed up. For view-seekers, this vantage point alone may be worth the visit. 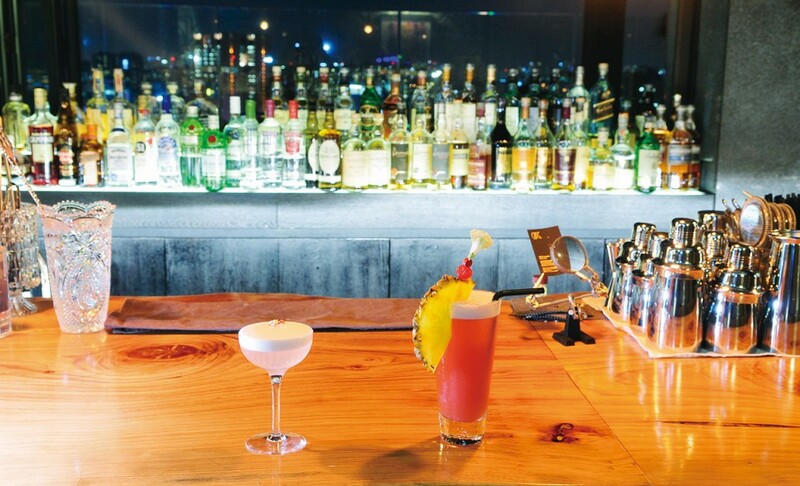 Finally, down south of the Han River, a Gangnam-style welcome awaits at Mercure Hotel’s rooftop bar, Kloud. Located on the 21st floor of this avant garde business hotel, Kloud serves up fancy cocktails with a side of vertigo thanks to the transparent walls that cover three sides. Pop-up umbrellas, fake grass and black-and-white movies projected onto the back wall complete Kloud’s posh atmosphere, and they even serve dinner before 9 PM. Just be warned that the prices match the location, so it may be best to save Kloud for an extra-special occasion. 11 AM-10 PM, closed Mon. Tues.-Sat., 12 PM-9 PM; Sun., 11 AM-6 PM; closed Mon.